How do I set the preferences for MTSU when I use Google Scholar? - Ask Us! Q. How do I set the preferences for MTSU when I use Google Scholar? 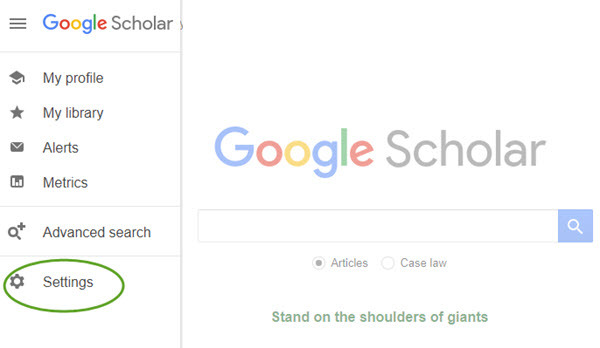 Access Google Scholar from the Library Website by going to the DATABASES tab, choosing G, then locating Google scholar. ​The preferences will be automatically set for MTSU. Access Google Scholar from off campus or just through Google. Set the preferences to use MTSU resources. Click the menu icon at the top of the page in Google Scholar and select Settings. Choose Library Links to associate yourself with MTSU. How do I access Google Scholar?